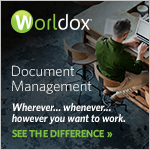 NetDocuments, the leading cloud-based document and email management (DMS) platform for law firms and corporate legal and compliance departments, today announced a unique and exclusive integration with DocsCorp, widely recognized as a leading provider of productivity tools and services for document management professionals. NetDocuments Optical Character Recognition (OCR) is an OCR and image compression technology delivered as a secured cloud-to-cloud service without requiring any on-premises software to be installed. NetDocuments OCR is powered by DocsCorp’s patented contentCrawler, a cloud-based content analysis technology, maintaining NetDocuments market-leading compliance standards and service-level standards. NetDocuments OCR will monitor all incoming images and image-based PDFs and automatically convert to searchable PDF and full-text index all the content. NetDocuments OCR will be widely available to customers starting in July, 2018. “The addition of OCR and image compression to the NetDocuments platform will empower our lawyers and legal professionals to search and find all documents and images that meet the search criteria. 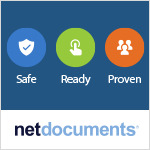 This functionality is not only a welcome addition, but really demonstrates the value a technology partnership, in this case between NetDocuments and DocsCorp, provides us as a mutual customer,” said Phil Casale, CIO Buchanan Ingersoll & Rooney.